There are many video formats on the market, like the MP4, AVI, MOV, etc. Among them, HEVC can be the best excellent video format. High Efficiency Video Coding (HEVC), which is also known as H.265 and >MPEG-H< Part 2. Most 4K videos are HEVC video formats, it can support resolutions up to 8192×4320, including 8K UHD. When you get the HEVC video for playing on the PC, Mac, TV or other portable devices, like the iPhone, iPad and Android devices, etc, one powerful HEVC player is necessary, which HEVC player are you using? If you are searching for the best HEVC player, maybe you can find one in this post. Guide: For many Windows users, VLC is popular which is a free and open-source media player. This media player is powerful, you can play many videos on it, like the AVI, MP4, MOV, MKV, WMV, etc. Even you can play the DVD, Blu-ray on PC with VLC. 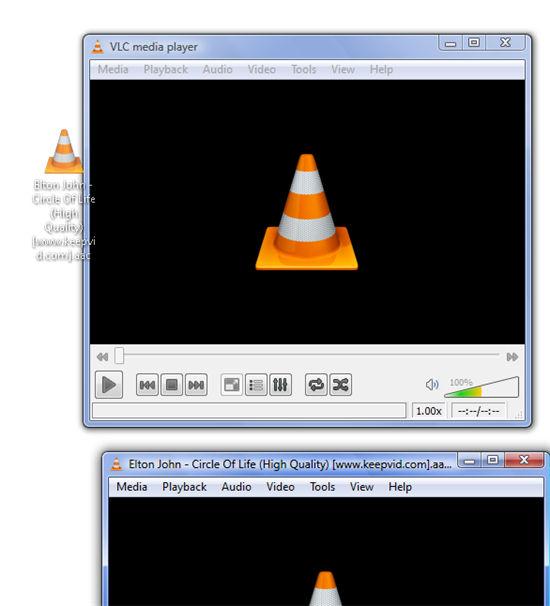 VLC is not a common media player, you also can use the VLC as the video converter which can decode the video. When you play HEVC on VLC, you need to know these: It plays an HEVC format video, it requires to download a specific x265 as a free software library and application for encoding video streams into the H.265/MPEG-H HEVC compression format. Guide: Potplayer is also a perfect HEVC player which can support the HEVC/H.265 encoded videos, at the same time, you don’t need to install different codecs all the time when using the player, this player supports OpenCodec so users can easily add whatever codecs they want. You can play other popular vidoe on it smoothly: H.264, MP4, FLV, MKV, AVI, MOV etc. Best of all, you even can enjoy the 3D videos in it, it supports the Side by Side, Top and Bottom, Page Flipping 3D videos. Guide: You alosncan play the HEVC on KMPlayer happily, as a versatile media player, you even can play DVD on KMPlayer, VCD, MP4, AVI, MKV, Ogg Theora, OGM, 3GP, MPEG-1/2/4, WMV, RealMedia, exclusive AIFF file and QuickTime among others. It handles a wide range of subtitles and allows you to capture audio, video, and screenshots in multiple ways. In addition, the player provides both internal and external filters with a fully controlled environment in terms of connections to other splitters, decoders, audio/video transform filters and renderers. 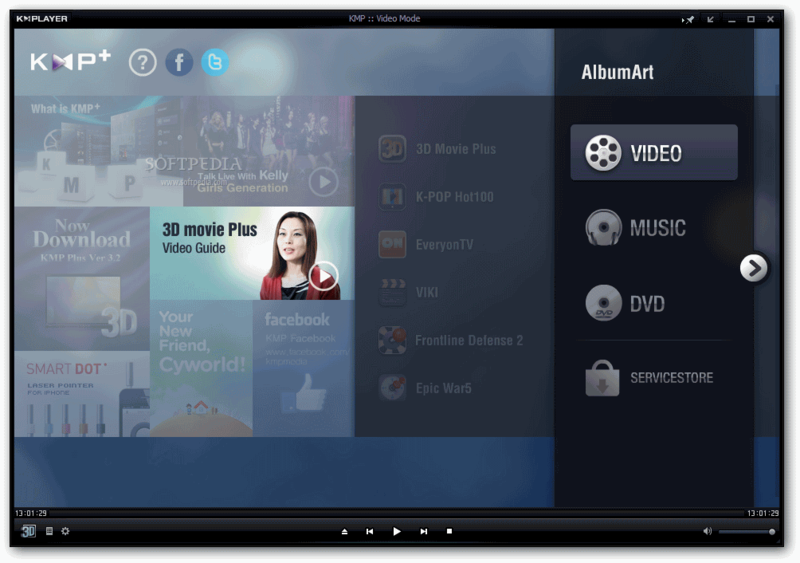 Guide: GOM Player(short for Gretech Online Movie Player) is a free media player for Windows, developed by the Gretech Corporation of South Korea. The fantastic ability to play some broken media files and find missing codecs using a codec finder service are just some of the most important features that helped GOM Player become one of the most mass-appealed media utilities out there to play HEVC/H.265 video smoothly. However, as most of you probably know, GOM Player’s installer used to offer and install lots of third-party software like adware, malware and spam, as well as change the search engine of your web browsers. Sometimes, we can’t play the HEVC video smoothly, you don’t want to install other media player on PC, how to do? You can convert the HEVC to your media player supported video formats. 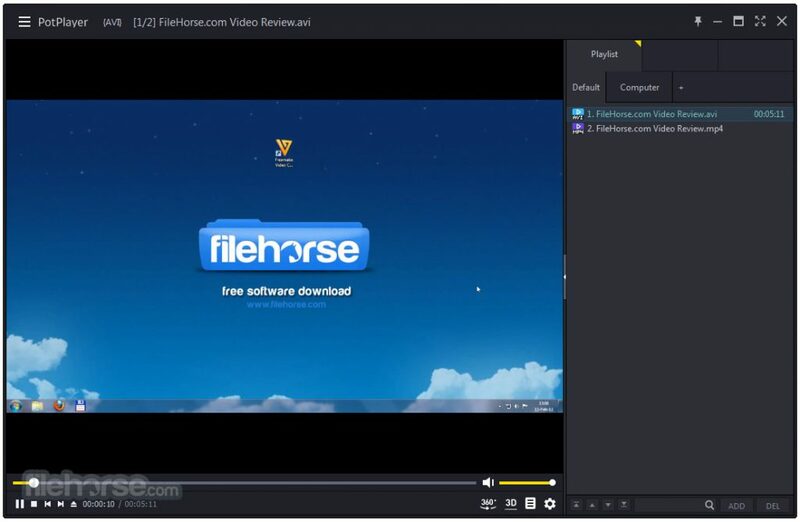 Sometimes we want to get the HEVC videos from the H.264, MP4, MOV, WMV, etc, you also can convert the video to HEVC, here, we recommend you the best HEVC video converter: Pavtube Video Converter Ultimate, you can import any video you want and choose any video formats you like, this software provides 300+ video formats for you. Even you can import the DVD and Blu-ray to it too. In the user-friendly interface, you can play the HEVC video on the preview window, but you can get the full screen. When you want to get the 4K HEVC video, this software is the best tool which can output the 4K videos with high quality. For 3D amateurs, you can get the 3D videos from common videos, DVD and Blu-ray, like the MP4, 3D AVI, 3D WMV, 3D MKV videos for your 3D Glasses or VR headset. In summary, you can get any video formats you want. 2. 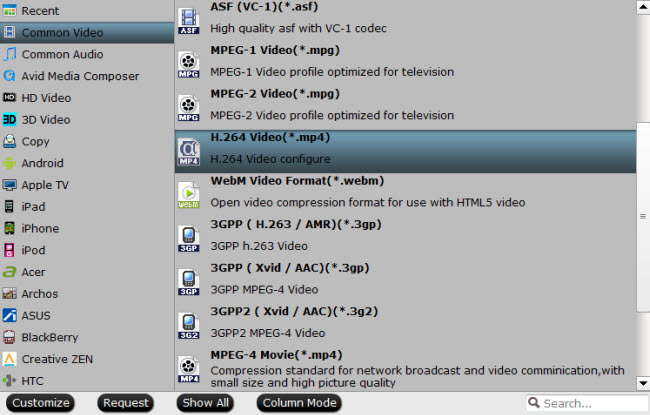 Click the Format button, you can choose one video format you want, like the MP4 video which is wide used. You also can choose the 3D Video for playing on Mac, PC, TV, Mobiles. 3. Go back to the main interface and click the Convert button to start the video conversion. Good news: When you choose the 4K video with H.265 or H.264, you can get the 30x lighting fast speed. This software uses the NVIDIA Acceleration. Can MPlayer Play Commercial Blu-ray Movies? How to Play DVCPRO HD MOV Files in Kodi?